I was in NYC over the Fourth of July weekend. Hopping off the from-Brooklyn subway, I popped onto Canal Street looking for some mix tapes. They have all the bootleg software booths too, and as I paused to look at one at one of the displays, I saw my coworkers face staring back at me for a book cover. 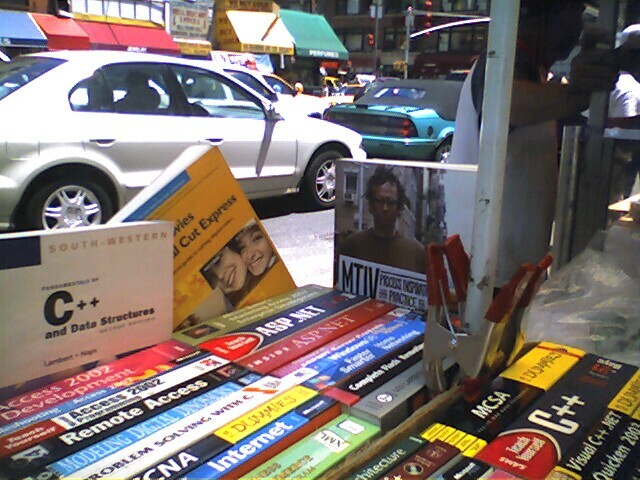 I guess that when your book makes it to the carts on Canal Street you’ve penetrated pop culture to a special degree. As previously noted, I’m working on a project with Hillman Curtis, who’s book it is.